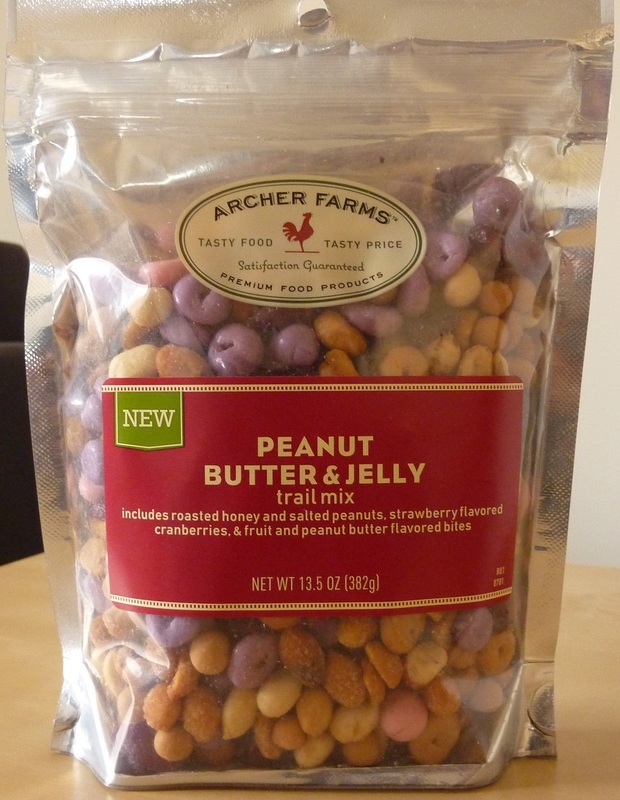 If you like trail mixes...and peanut butter and jelly sandwiches, you just might like this product, although if the bread's your favorite part, you might not enjoy it that much. 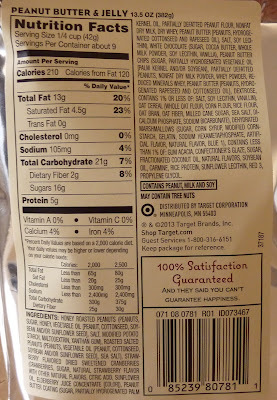 Just looking at the bag, I think it appears pretty appetizing. All those nuts and pretty pastel colors. You see those big lavender wads of who-knows-what that kind of look like pieces of chewed gum? Well, those are not soft, like I was expecting them to be. I thought they would be like yogurt chips with berry flavor or something. They do have a berry-ish flavor, but they're actually crunchy. That disappointed me. The nuts are crunchy! What do we need more crunch for? We need smoothness. Fortunately, there are smaller "flavored bites" throughout the mix that are soft and reminiscent of yogurt chips. They come in both berry-ish flavors and peanut butter flavor. There were no raisins in this mix, which is good. Not that I dislike raisins, but I don't think they would have gone with this very well. 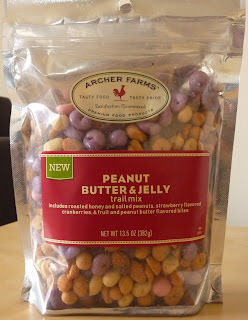 All in all, I think they could do away with the crunchy chewed-gum-looking pieces and throw in more strawberry-flavored craisins and yogurt chips, er, excuse me, "fruit and peanut butter flavored bites." But it's a tasty snack, both salty and sweet, and filling, too. My wife Sonia raved about this stuff. I think I would have given it only 6 stars, but I'll bump that up to a 7 in her honor. This trail mix gets 7 out of 10 stars.